CAM Construction Project Manager, Vince Culotta assisted with the construction of Kuhn Library at UMBC. Vince’s daughter Julia attended UMBC and enjoyed a successful softball career. 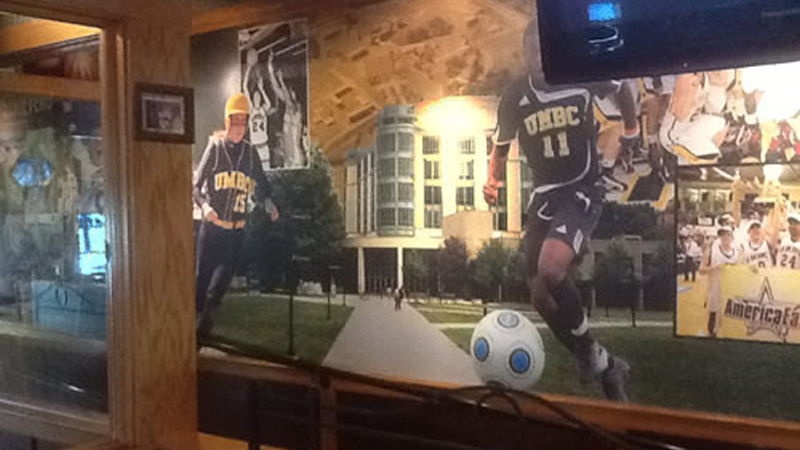 Here she is pictured next to her dad’s library from the wall at Applebees on Baltimore National Pike.